Seniana Atia can now help her husband with carpentry work. 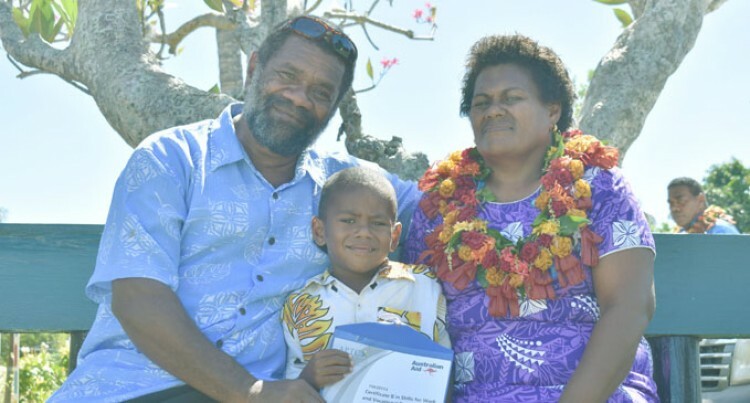 The 45-year-old graduated on Friday at the Tanoa Hotel in Rakiraki from the Australia-Pacific Technical College with a Certificate II in Skills for Work and Vocational Pathways. She was among 56 students who graduated. They completed their courses under the European Union (EU) funded Training Support to the Fiji Sugarcane Industry Project. Ms Atia said she was inspired by her husband to take up the course. “I would like to thank God, my husband and my tutors for guiding me,” she said. Ms Atia said her husband had supported her in every step in order for her to achieve her goals. “I had to manage my time wisely with my family, my studies and house chores. “This is not the end for me, I will now take up a construction course so that I can help my husband in his carpentry work,” she said. Husband, Etuwate Naucukidi, said he was happy for his wife who now had the skillset to do further. “I am so proud of her and she will help me in carpentry work soon,” Mr Naucukidi said. Mr Naucukidi said while his wife was studying, he took on the role his wife usually did like waking up at 3am to do breakfast for the family. “I helped my wife with house chores so that she has plenty time for her studies and she would do other house work and spend time with our children,” he said. Mr Naucukidi is a carpenter. The couple resides in Navuavua village in Rakiraki with their four children.